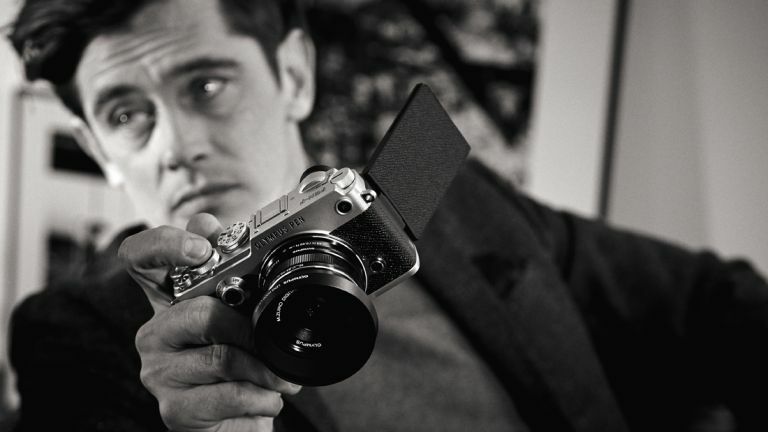 While you were sound asleep last night Olympus announced their new compact system camera - the Pen F. T3 had the chance to go hands-on with the attractive little thing a few weeks ago, and we're rather enamoured with it. • Best action cams are this way. Here are five reasons we think the Pen F should be your next camera. This camera is incredibly attractive. It's based on Olympus' classic Pen F range from the 60s, which is a design icon in itself. It features the classic 'step' contour and striking aluminium/black leather colour scheme (also available in all black). It's also a perfect size - if you're currently using a DSLR it's time to trade that ancient dinosaur in. Compact system cameras are smaller, more portable, and take just as good images. Despite its retro looks, the Pen F is packing the lastest imaging tech. That includes a brand new 20MP sensor without a low-pass filter (for that extra sharpness), and 2.36 million dot OLED electronic viewfinder. It has the latest True Pic VII processor and can shoot at 10 fps. It keeps the awesome 5-asis image stabilisation, allowing it to shoot as low as 80 ISO, and 50MP High-res shot mode. Olympus says this camera is used for 'crafting' images, taking your time to compose and artfully take your shot. See that little dial at the front? That's the new 'Creative Dial'. It allows users quick access to on-board colour profile control and art filters. This can be options such as gradation-curve, film-grain, shading adjustment, black and white filter effect, saturation. All from the twist of a dial. Olympus cameras are always well made, but the PEN F takes it to a whole new level. It isn't weather proof like some OMD models, but the PEN been 'crafted' rather than 'made'. There's not a single screw head visible on the body, and in the hands it feels absolutely excellent. Quite weighty, and solid. The lenses available for the Micro 4/3 system are great. There are options from Olympus, Panasonic, and Sigma, as well as the ability for most legacy lenses to be adapted to the system. There are three kit options available at launch for the PEN F: body only (£999), body with the 14-42mm pancake (£1099), and the body with the 17mm f1.8 (£1199).